The ACT is a nearly three-hour exam with four sections – English, math, reading and science – plus an optional writing section that adds 40 minutes. In order to take the test on February 11, be sure to register by January 13. With the deadline to register for the February 11 ACT fast approaching, it’s time to start thinking about ACT prep. What does the test look like? What are some key ways you can prepare? 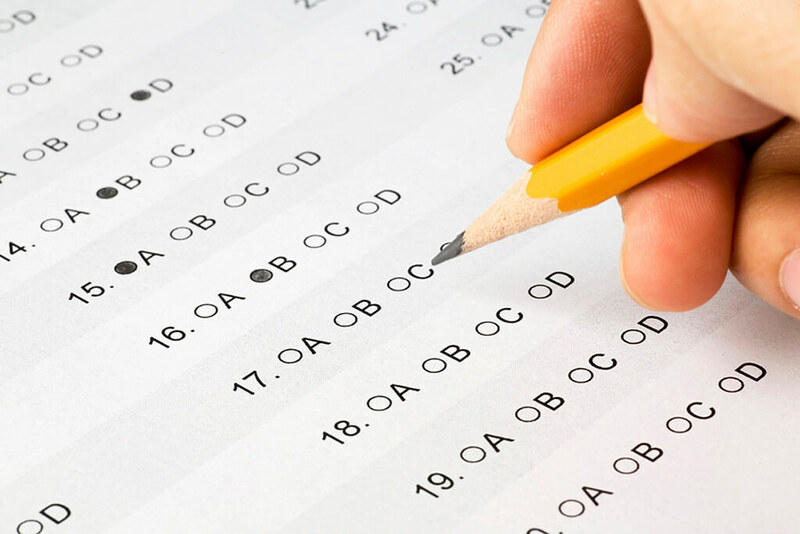 Implement the following strategies to maximize your chances of acing the ACT. Comprised of 40 multiple-choice questions, the reading section requires that you read various passages and answer questions in just 35 minutes. In order to receive a high score in this area, you will need to apply rhetorical skills so that you can interpret the author’s intentions or speak to the author’s form and style. This section requires more prep than simply memorizing a list of rules or terms, as with grammar or vocabulary. Does the writer make his/her point? What flaws or holes can be identified in his/her argument? Do I feel persuaded? If so, why? What literary techniques does the writer implement to help communicate his/her thoughts and ideas? Practicing your answers to these questions will help you analyze the reading passages given to you during your test. Memorize the instructions ahead of time: Don’t waste valuable time reading and re-reading the directions—by reviewing a practice test ahead of time, you can walk into the test and completely bypass that part and dive right into solving problems. Understand ACT math relationships: Know the difference between values, ratios, and percentages. Keep in mind, a ratio is a relationship between numbers. You’ll save yourself time if you can easily move back and forth between fractions, decimals, and percentages. Memorize your triangles: The ACT will no provide you basic information at the beginning of the math section, so be sure to memorize the 30-60-9-0 and 45-45-90 triangle rules. Watch for outliers: Test-makers’ love to trip up test-takers by including bogus answers that don’t fit. Keep your eyes open for these and cross them out as viable options. The ACT Science test consists of 40 questions that must be answered within the 35-minute time limit. The test consists of several science passages, each of which focuses on one of the following subject areas: biology, chemistry, earth/space sciences, and physics. Each passage is presented in one of three different formats: Data Representation, Research Summaries, and Conflicting Viewpoints. Data Representation focuses mostly on charts, graphs, and tables, so you will need to practice identifying trends and understanding the layout of variables. Research Summaries describes one or more experiments. You will need to understand the Purpose, Method, and Results for each experiment, and know what the similarities and differences were between them. Think of the Conflicting Viewpoints Passages as a debate:two or more parties state their conflicting beliefs. Sometimes they agree on one point but disagree on others. When answering the 7 questions, be sure you’re considering the correct viewpoint—don’t get the two mixed up. The ACT English test consists of 75 questions that must be answered within the 45-minute time limit. There are two types of ACT English questions: Usage/Mechanics questions and Rhetorical Skills questions. Keep it short, sweet and to the point: For the ACT, the best answers are typically the most clear and concise. Don’t get hung up on the lengthy, wordy answer choices, but rather look for the simplest answer that provides the best fit. Pay attention to punctuation: The most important punctuation symbols you need to remember are commas, apostrophes, semicolons, and colons. In addition, the version of the test you take may also include questions regarding parentheses, dashes, periods, question marks, and exclamation points. Familiarize yourself with the rules associated with punctuation ahead of time. Go in order: The questions on the English section go in order according to the passage, so it won’t help you to skip around and answer the questions out of order. Do your best to answer the question the first time, guess, and move on if necessary. Now that you’re ready to take on the ACT, it’s time to let CollegeChoiceToday help you with the college and career selection process. CollegeChoiceToday’s technology helps you to create a road map from college to a rewarding career. Through straightforward school recommendations based on your location, personality, and choice of major, we can give you the peace of mind and tools to choose a college that makes sense academically, financially and for your personal enrichment. Get started now! Visit our site or call 1-844-412-6224 to learn more.